Declining visitor numbers and a growing reduction in exhibitor bookings has led Deutsche Messe to cancel CeBIT 2019 as the once popular trade show is no longer able to attract the up to one million attendees it did at the height of its popularity. Going forward, the trade show will no longer be a standalone event and its organizer plans to integrate CeBIT’s industry-related topics into the HANNOVER MESSE event. At the same time though, Deutsche Messe also plans to develop additional CeBIT topics into their own specialist events for decision-makers for vertical industries. The year’s CeBIT event was comprised of an exhibition, conference and festival though this was not enough to draw more that the 120,000 attendees. Back in 2014, we warned Deutsche Messe that the conference needed to make some big changes to remain relevant. "In recent years, many discussions within the German industry have involved the thematic overlap between HANNOVER MESSE and CEBIT. It is now time to integrate the topics from CEBIT that are relevant for manufacturing, energy and logistics into HANNOVER MESSE. We are currently examining the digital market to determine which remaining CEBIT topics we will develop into new events." The rise of the digital economy alongside technological developments in the industry have reduced demand for CeBIT and other similar horizontal trade shows in recent years. The impact of digitalization has been notable in the industrial application industries. For this reason, many of the traditional core exhibitors that would attend CeBIT have chose to instead target these industries to help generate new business. "We accept Mr. Frese's decision with regret und respect. It is difficult to lose such an experienced tradeshow manager and board member. Frese has served Deutsche Messe for many years, most recently as the member of the managing board responsible for CEBIT. Especially with the new CEBIT concept, Frese showed courage, innovation and pioneering spirit. 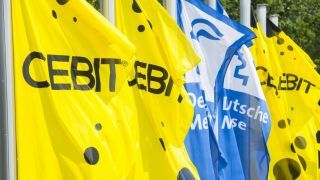 The further decline in demand for CEBIT is all the more regrettable, but at the same time, it shows that the CEBIT idea affected the entire economy. The topics it represented, such as digitization and artificial intelligence, are now seen as overarching tasks – which is also a success for CEBIT."